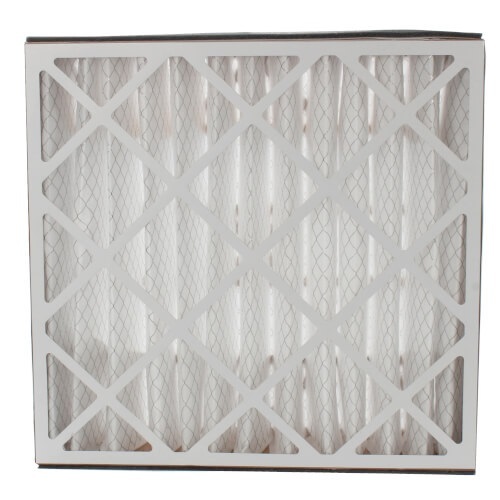 The FiltersFast FFC20205TABM8 is the compatible replacement for the Trion 255649-103 MERV 8 Air Bear Media Filter 20x20x5. 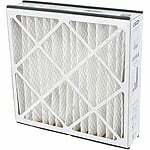 This replacement filter captures airborne pollutants like dust, spores, pet dander, mold, smoke and pollen. 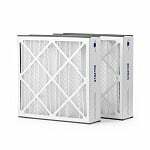 For odor reduction, this FiltersFast Furnace Filter is constructed with fine carbon powder bonded to lofted polyester media and the particulate is made from 100% synthetic gradient media. 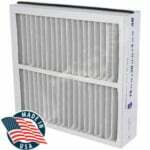 This FiltersFast replacement filter support grid is constructed of 30 gauge galvanized, corrosion resistant expanded metal that does not absorb moisture or support microbial growth. The maximum temperature capacity of this furnace filter is 180 degrees Fahrenheit (82 degrees Celsius) with continuous service. The 5 inch depth of this Trion pleated media filter minimizes pressure drop and has a higher dirt holding capacity. Nominal dimensions: 20" x 20" x 5"
Actual dimensions: 19-11/16" x 20-11/16"x4-15/16"